Jagannath University Latest Job Circular 2018 and details job information found here. Jagannath University will recruit vacancies for Various Post for the year 2018. JNU New Latest Job circular 2018 published on different dates (See the Particular Job Circular for Details). 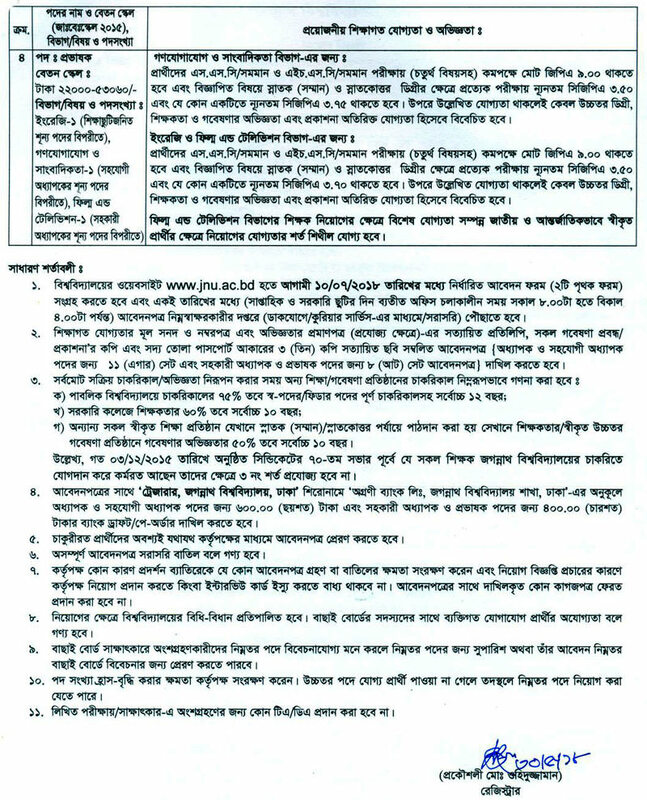 Interested and eligible Bangladeshi Citizenship candidates are requested to Apply Jagannath University Job Circular for the vacant positions. 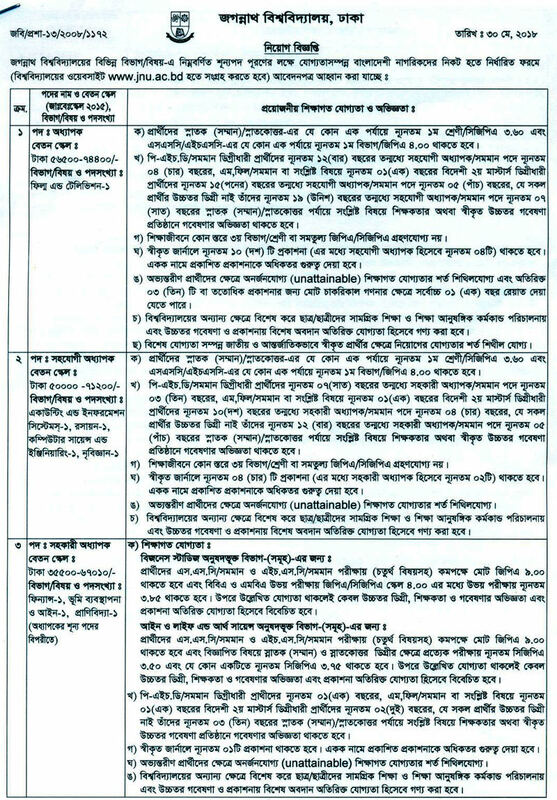 Deadline for Application is on different dates (See the Particular Job Circular for Details). 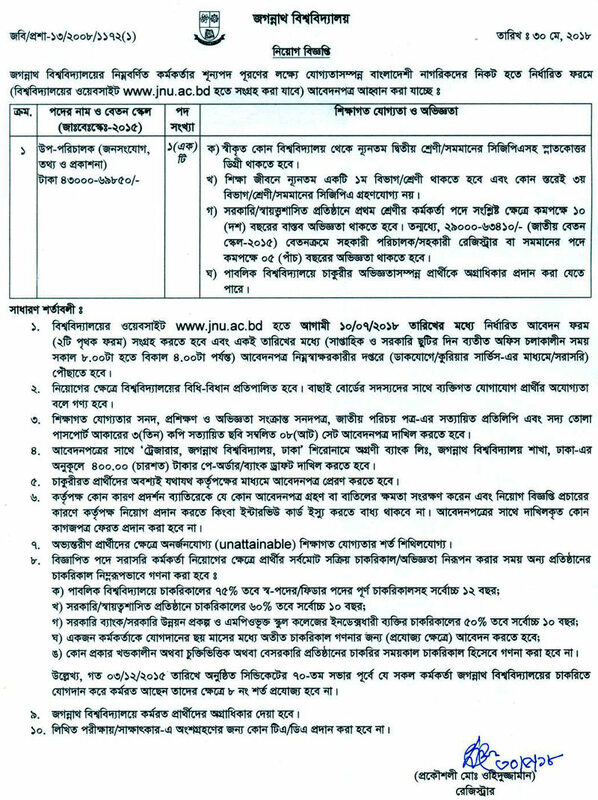 If you are interested in taking this challenge, then please Apply according to the job circular and instruction attached above.